Around 50,000 state employees will be reassigned from their Cairo offices to their new offices in Egypt's New Administrative Capital in 2020, the country's planning ministry said on Monday. In press statements, the planning minister's spokesman Ramy Galal said that those selected for the transfer are currently undergoing training and aptitude tests, with the criteria including proficiency in Arabic, a foreign language, and computer skills. In 2015, Egypt started the mega-construction of the New Administrative Capital 45km east of Cairo as part of the government's plan to reduce pressure on an overpopulated 20-million strong capital, expand urban areas and develop the infrastructure of the 104 million nation. 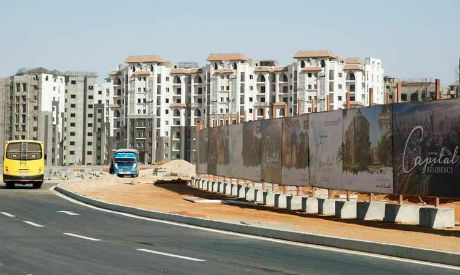 The New Administrative Capital, which is being built over 714 square kilometres by tens of thousands of workers, will be home to a government housing district, 29 ministries and other state institutions – including the cabinet and parliament buildings – and 20 residential neighbourhoods that can accommodate 6.5 million people. The companies undertaking the construction process of the New Administrative Capital have completed construction of the first phase. The government recently announced that 70 percent of the land in the first phase of the new capital, which covers 40,000 feddans, has been sold. Galal said that the majority of employees in the country's administrative apparatuses, who constituted 5.4 million in 2018, work in governorates and municipalities outside Cairo, and will remain on the job in their localities. Galal also explained that government employees who commute to their jobs in Cairo from other governorates will also not be among those moved to the new capital, adding that some of these employees will be transferred to their home governorates. The employee transfer will go into effect only after transportation systems to the New Administrative Capital are put in place, according to the spokesman. Last week, Egypt secured a $1.2 billion deal with the Export-Import Bank of China (EximBank) to finance an electric train that will run from one of the country’s main industrial zones, 10th of Ramadan City, to the new city. A new power plant with a capacity of 4,800 megawatts has already been inaugurated in the New Administrative Capital. In January, President Abdel-Fattah El-Sisi inaugurated in the new capital the Nativity of Christ Cathedral, the largest in the region, and Al-Fattah Al-Alim Mosque, the biggest in the country.